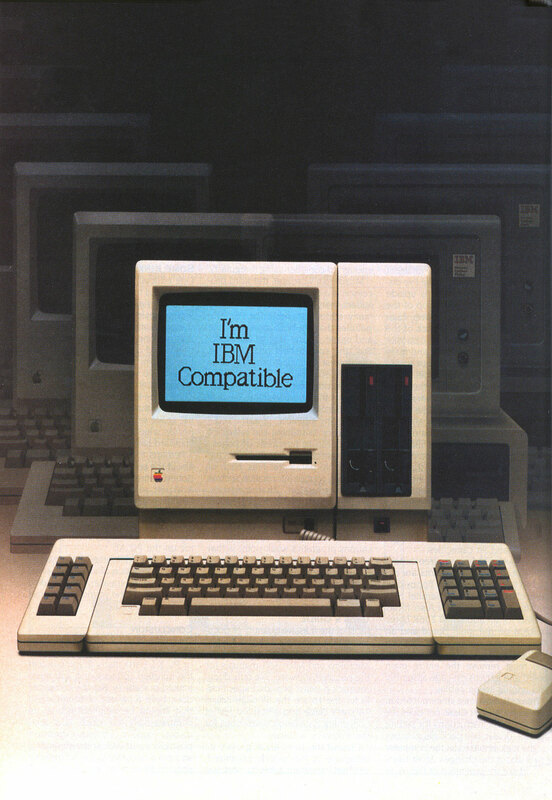 MacCharlie is an IBM PC clone capable of running text based DOS applications. Wow that thing is hideous. I love it! Frankincharlie. How does this work? What is the PC clone part? Never mind the explanation, I went to the website. Pretty cool. There was one of these on eBay a few weeks ago but it was a bit pricey. I'd like to see this thing in action. A wonderful arrangement to have, and to see it is working ! Which systems is it running ? Checked out the link to the ads. Sounds like Boot Camp, before there was a Boot Camp! It continues to amaze me how truly innovative, and ahead of their times those original Macintoshes were! !